Update: The Crazy Water Festival, Crazy 5K and Crazy Car Show have been rescheduled to Nov. 24 due to bad weather on the original date.The festival will start at 9 a.m. and the 5K will start at 8:30 a.m. 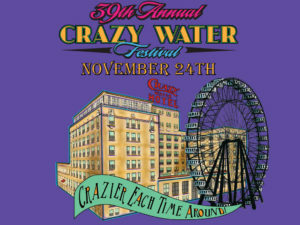 Check crazywaterfestival.org for details. The Crazy Water Festival in Mineral Wells returns once again for its 39th run on Oct. 12 and 13 to celebrate the town’s all-natural mineral water heritage. The festival will take place at N.W. 4th Avenue on the block of the Famous Water Company where Crazy Water has been bottled and sold for more than a century. 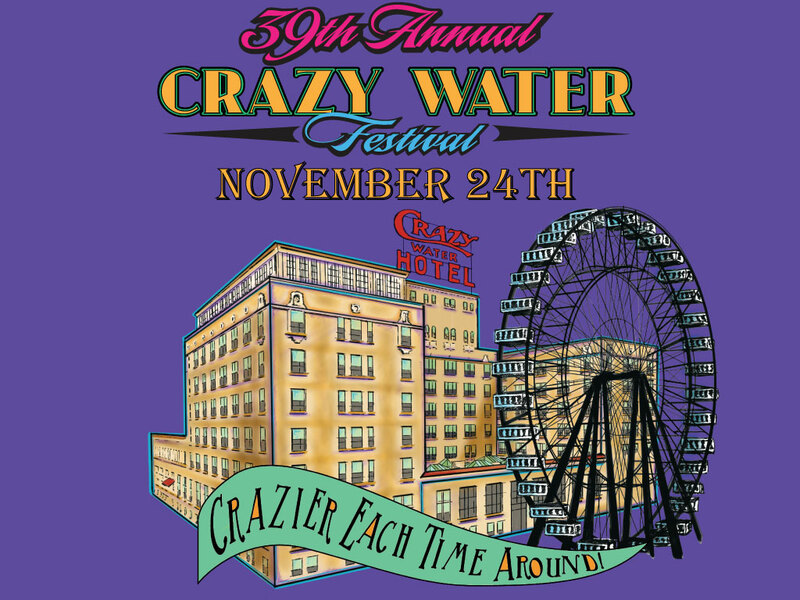 The Crazy Water Festival first began in 1979 to celebrate the famous mineral water that gave the town its namesake. Since then, the festival continues to grow “crazier each time around,” as the festival website put it. The festivities will begin on Friday, Oct. 12, at 6 p.m., starting off with a “Crazy Car Cruz” through town. Photo courtesy of Crazy Water Festival. The festivities will begin on Friday, Oct. 12, at 6 p.m., starting off with a “Crazy Car Cruz” through town and a street dance starting at 7 p.m. with live performances by Mark Powell and Billy Law. The night will also feature for the first time a Ferris wheel and midway-style games. The event continues Saturday, Oct. 13, with gates opening at 9 p.m. for the festival. 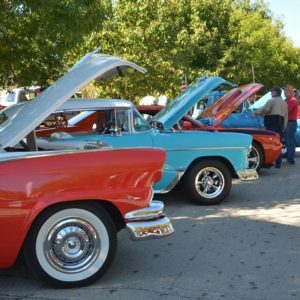 This year thousands of people are expected to flock to the historic streets of Mineral Wells to enjoy food trucks, music, street art, children’s activities, a car and truck show, a washer pitching tournament and vendors. Admission for the festival is $3 per person, with $1 off for each canned food item. The food will be donated to the Mineral Wells Center of Life Food Bank and Back Pack Buddies. The Crazy 5K and Crazy Car Show will also be held on Saturday. Participants in the Crazy 5K will receive free admission into the festival and Crazy Street Art participants will receive free admission, a free T-shirt and access to the VIP area. A large part of the Crazy Water Festival’s purpose, other than to celebrate the famous water and to have fun, is to benefit various community non-profit groups. Nonprofit organizations that host activities use the funds for their service projects. Last year, the hosted activities contributed $32,000 to service projects in Palo Pinto County. For more information about the Crazy Water Festival, Crazy 5K, Crazy Car Show, and Crazy Street Art, visit http://www.crazywaterfestival.org/.